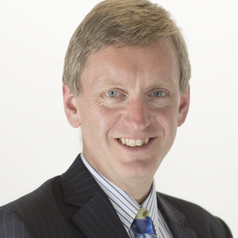 Professor Michael Fitzpatrick is Pro-Vice-Chancellor (Executive Dean) for Engineering, Environment and Computing at Coventry University, and holds the Lloyd’s Register Foundation Chair of Structural Integrity and Systems Performance. His research centres around the application of advanced experimental methods to materials engineering applications, particularly in the nuclear power and aerospace industries. He has published over 200 research papers. His group has a range of research projects assessing materials performance and structural integrity issues in collaboration with partners in industry and government research laboratories around the world. His recent interests include the study of laser shock peening for life enhancement of aerospace and marine structures, and the development of novel structural concepts such as bonded crack retarders for improving airframe structural integrity. He has been a user of the international neutron and synchrotron X-ray facilities for over 20 years, for the study of internal stress and damage development in metallic materials and components. He was the recipient of the Lidstone Medal of The Welding Institute in 2009.